Our Neon camp is certainly our most dramatic one! 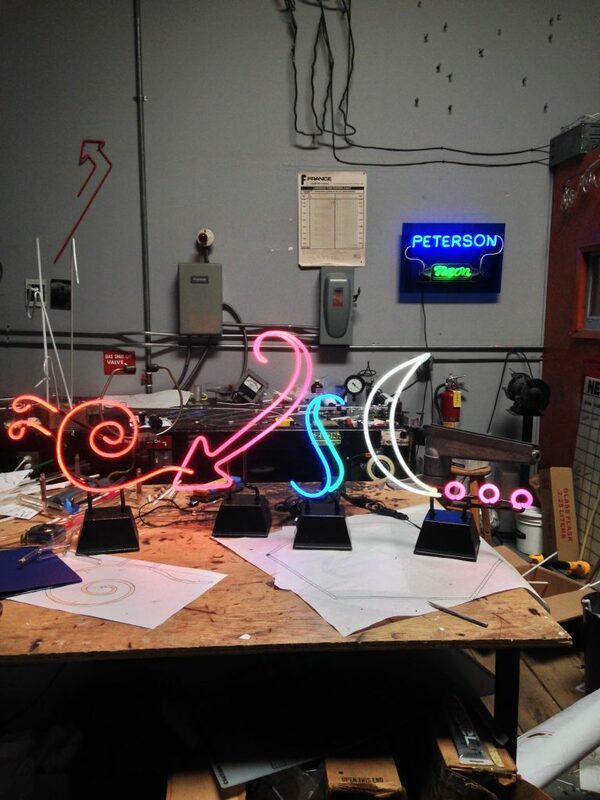 Although it is only 2 days, it is a crash course in neon: how it works, how to make it, and how it has affected 20th century culture. It symbolizes a new direction that I want to take the company, in teaming up with other artisans and historians to create new experiences that all can enjoy. Yes, it is a ‘Type’ camp, but sometimes, ideas evolve into other things. Aaron started out with ‘@’ and it evolved into a snail – which is perfect for his concept. 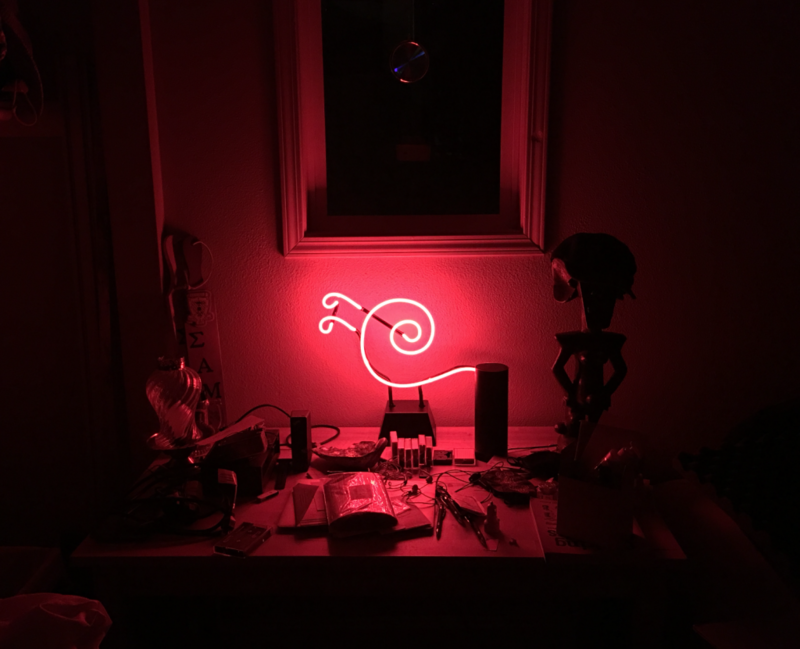 He chose the traditional warm red neon, as did Randall Ann. 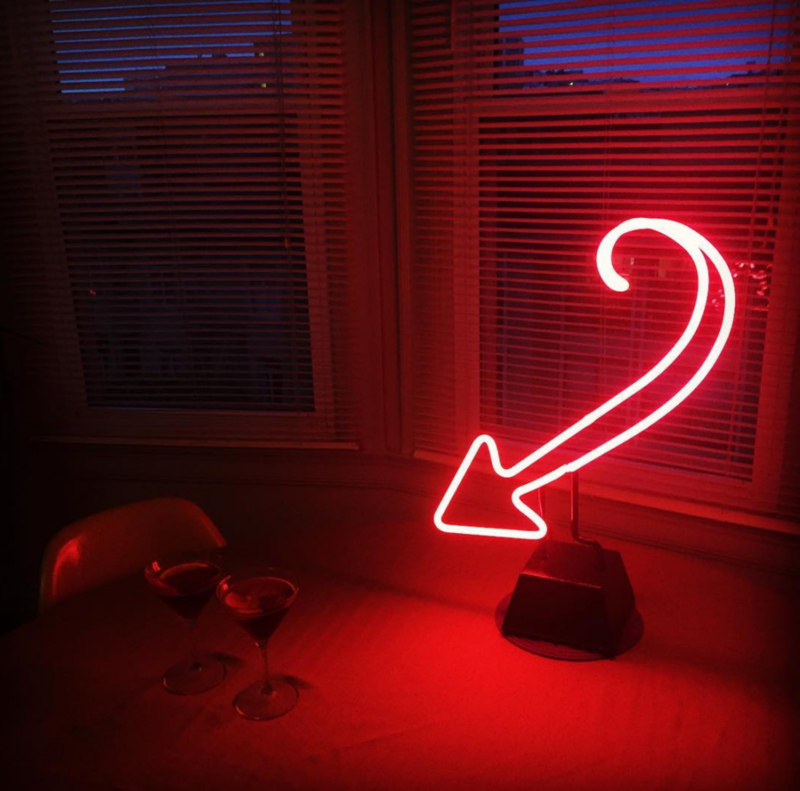 She wanted to replicate one of the arrows on her walking tour of San Francisco Neon and it turned out lovely! She thinks she’ll use it for book signings so I’m eager to see it in action. Still waiting to see Sandra’s S and Amanda’s ‘Moon & Ellipsis’ in their homes. I’ll update this post when I get the pics. I encourage you to not have a specific idea of what you want until you come to the camp. Our first day is about seeing what is possible – this way you might end up with something far more interesting that you had started with. Want to come? We have rolling admission so once we get 4 people, we run the class. This camp will be offered twice a year.